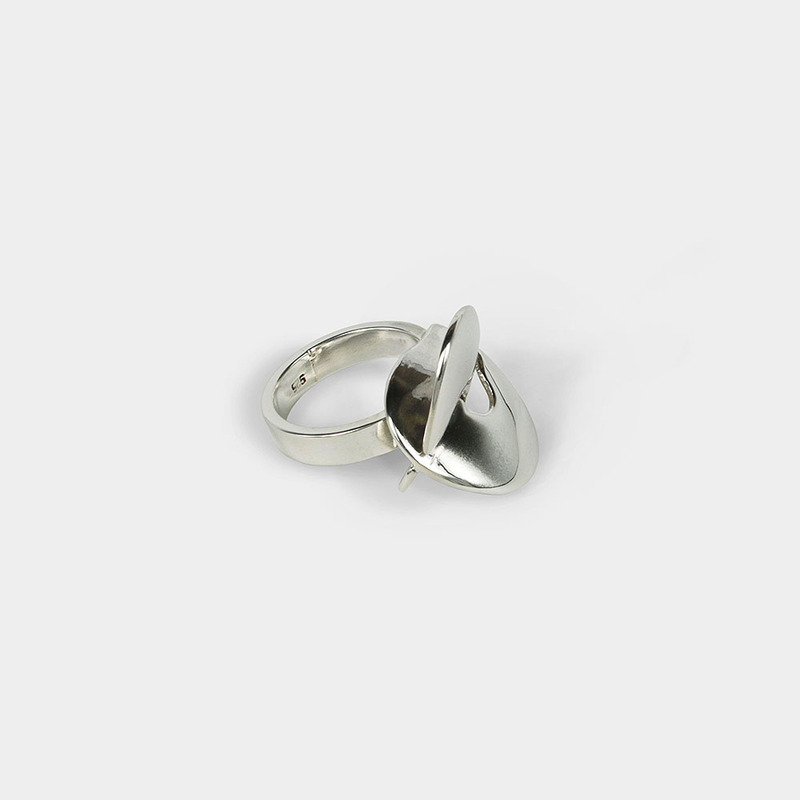 Original ring in geometric form. It is entirely handmade. Consists of 925 sterling silver. 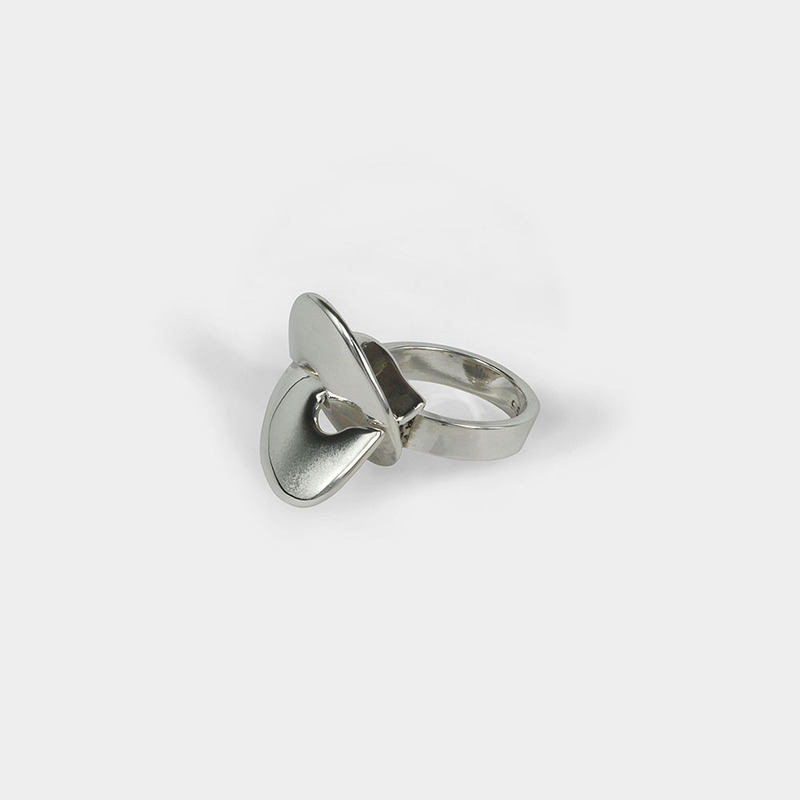 This ring is part of the “Infinity” jewelry collection, which is inspired by the “game” of the number eight (8) and the symbol of infinity (∞). Allegorically, this year, 2018… is transformed into the symbol of infinity and symbolizes the never-ending flow of human inspiration, expressing itself through art and invoking feelings. In this collection, a single figure, shaped using gentle, asymmetrical curves, was used to apply different shapes and to create a series of jewelry with a specific identity. 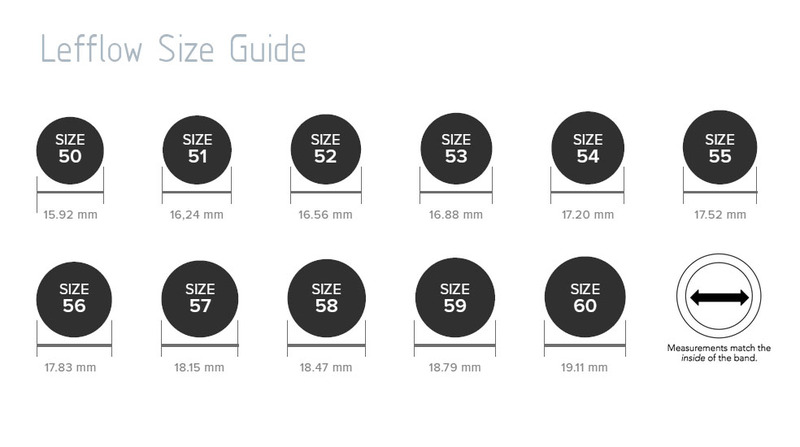 Each jewel is handmade, so please allow up to 15-20 days for delivery. If you would like a piece at an earlier date, please contact us to discuss the possible options. All jewelry are gift-wrapped and ready to be presented as gifts. Design and copyright are reserved exclusively by Lefflow art studio. The Lefflow Art Studio is a contemporary art, fashion and jewelry brand. Inspiration is transformed in unique designs and handmade jewel collections that express notions in the form of art.